Performed by Five For Fighting. For voice and piano. Format: easy piano/vocal/chords single. With vocal melody, piano accompaniment, lyrics and chord names. Pop rock. C Major. 7 pages. 9x12 inches. Published by Hal Leonard. 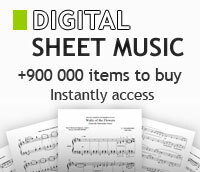 Easy Piano Sheet Music. Performed by The Fray. Easy Piano (Features easy piano arrangements). Size 9x12 inches. 8 pages. Published by Hal Leonard.